Totallab approached Arttia Creative to create new branding, new website and matching literature. Totallab required a new identity, a new high-performing website, exhibition stand and printed literature. 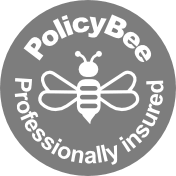 Their original website was proving difficult to update, with a site structure that made it problematic for customers to find key information. The site was not built to the latest web standards or SEO friendly. Their branding and literature didn’t reflect their business aspirations and their specialist business sector. We worked closely with Totallab, producing a new brand identity and branding for their software products. For their new web design, we created detailed wireframes and site plans to ensure the very best journey and user experience. We provided Totallab with an easy to use website CMS (via WordPress) and SEO friendly framework. 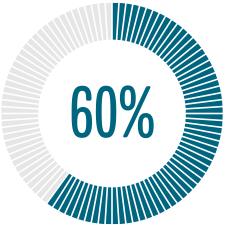 Structured in the most optimum way that promoted their software, services, expertise and their outstanding customer support. With well branded and consistent messages across all of their communications. "At our Vistage group event the speaker compared 7 websites from our sector, Totallab was the only one to get a positive statement straight away and the compliments continued. It made me feel exceptionally proud to hear the compliments, especially in front of my peer group. I wanted to pass that on with my thanks and regards." "Belinda [Arttia Creative] is a rare talent. Someone who can understand, appreciate and ‘get’ the specialist nature of my business and the markets we serve. A pleasure to work with." Working closely with Totallab we developed not only a new business brand but two new product brand identities. To work alongside their main business identity providing them with a range of flexible brand designs. 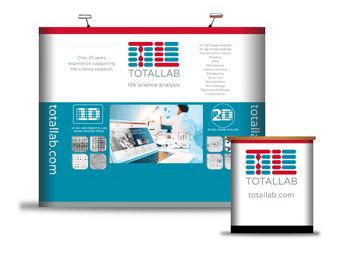 Working closely with Totallab we designed a new exhibition stand to reflect the style of their new website and branding, which is used at key international exhibitions and events. To launch their new branding and website, Totallab held an exclusive launch event. For this, they commissioned giveaway 'beers' for the goodies bags. Arttia Creative used their extensive, award winning packaging design expertise and designed distinctive well-branded bottle labels, which provided a great talking point at the event.